Four bunkers come into play on the tee shot. The safety fence forces the golfer to aim towards the centre of the fairway. 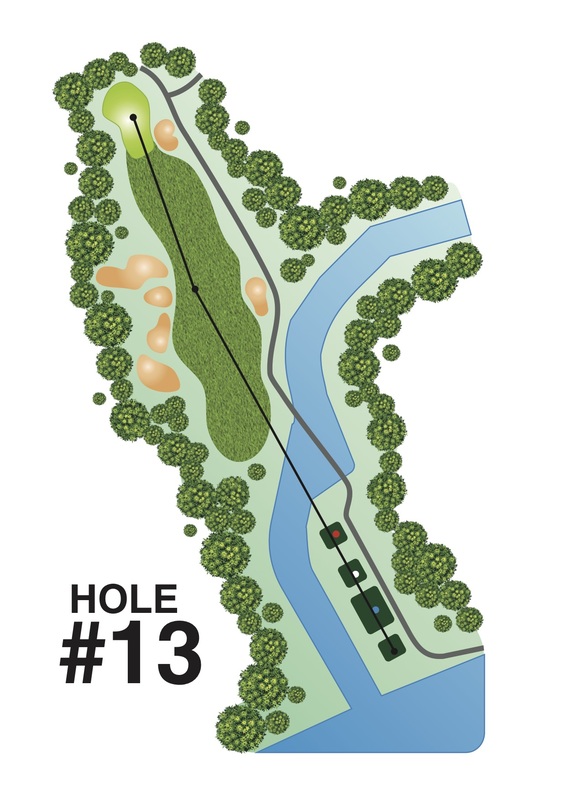 Tee shot going too far left could finish in a position where the golfer will not be able to see the green.